It's Not Work, It's Gardening! 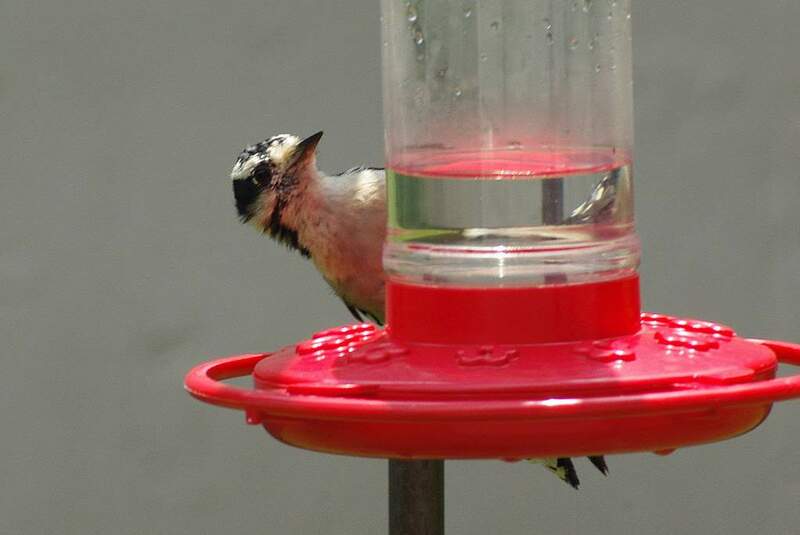 : What kind of feeder is this? 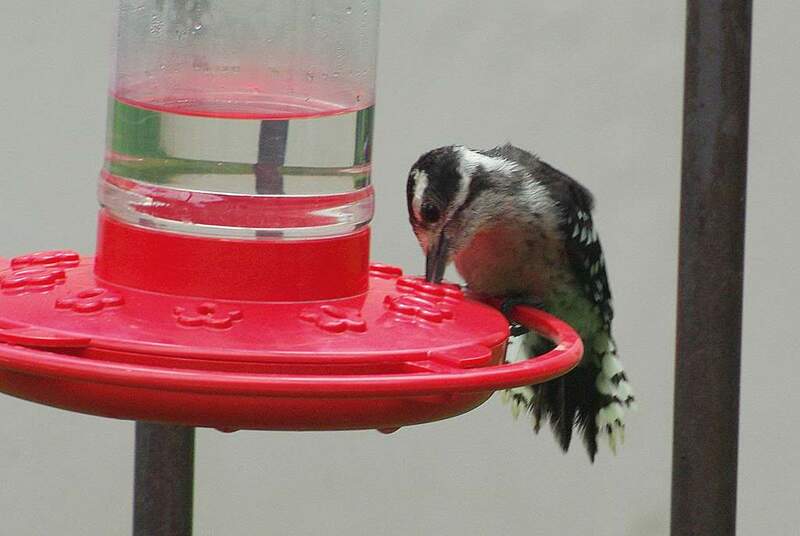 It's a downy woodpecker, and apparently he (and all downys) love sugar water. 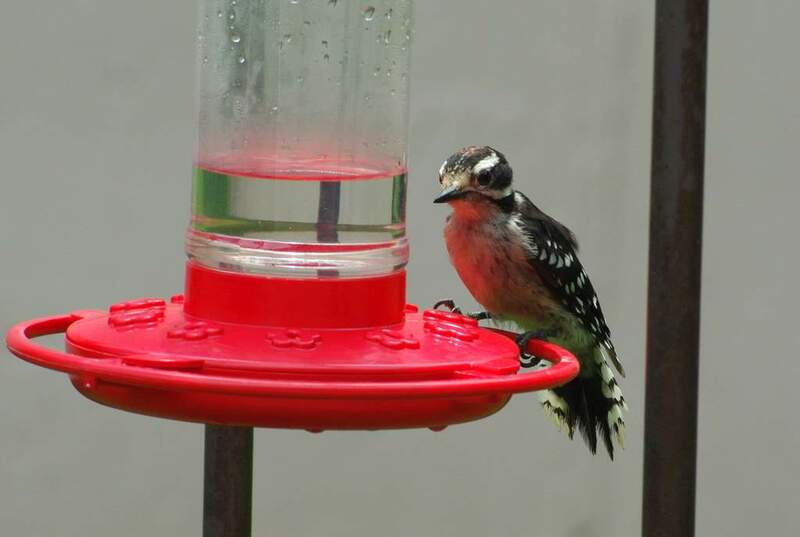 Sometimes I'll see this guy at the feeder and his mate next in line on the trellis. What? Who? What did I do? This wasp has found it. 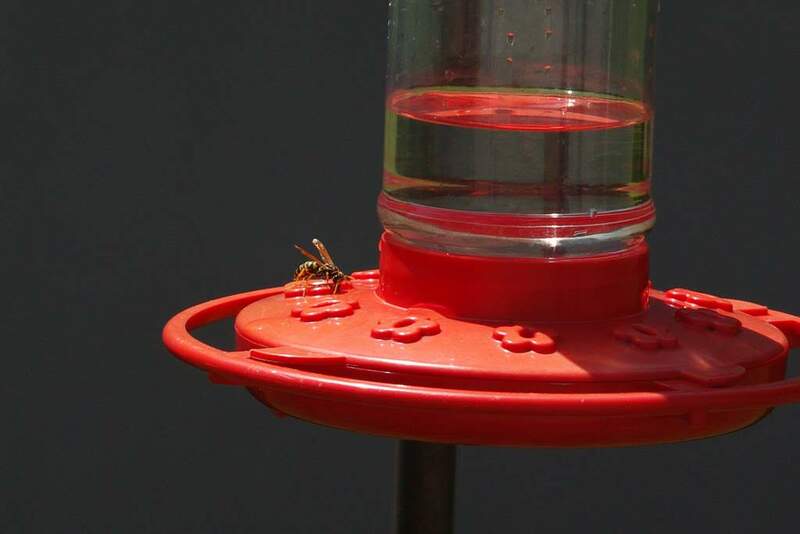 There may be more than a single wasp involved, but I've only seen one near the feeder at a time. Last year I had a swarm of honey bees at one of the feeders, so a single wasp isn't too bad. 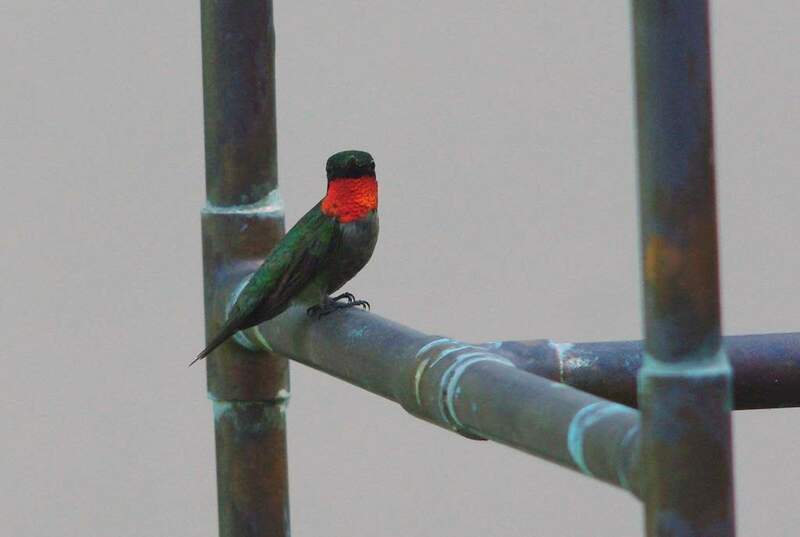 It does tend to keep the hummingbirds away though -- I've seen them fly up, see the wasp, then fly away immediately. 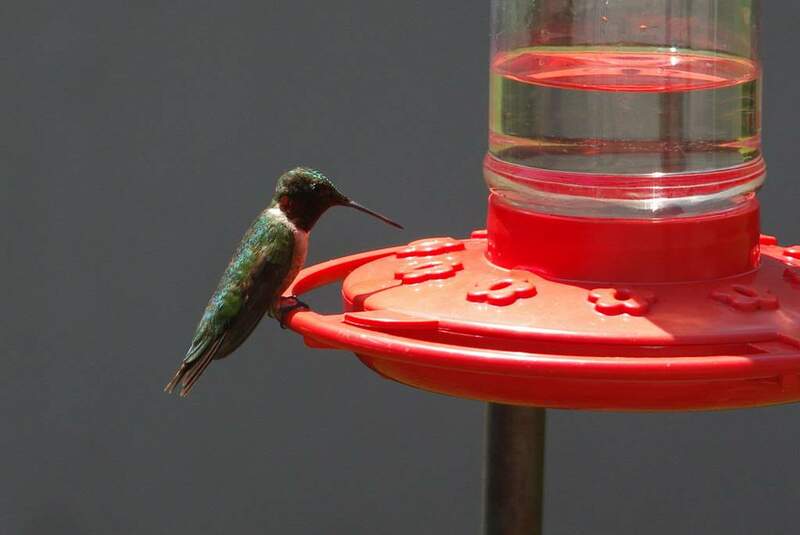 This female is a regular visitor. 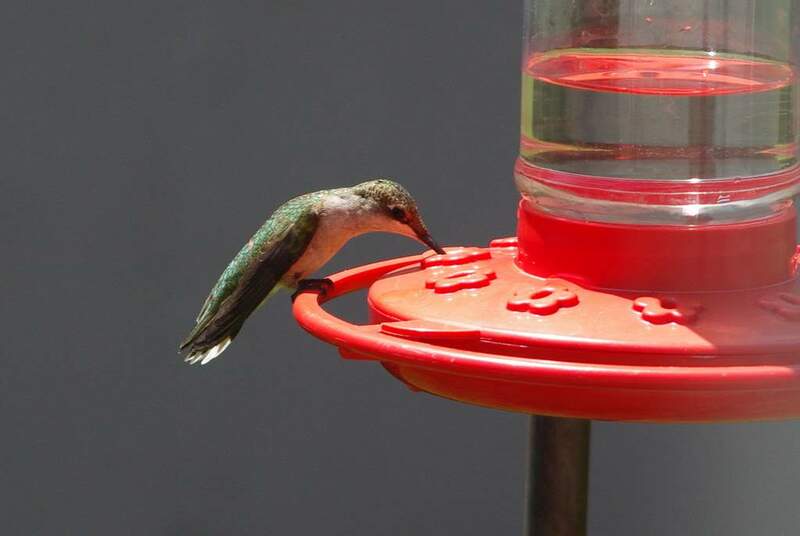 So I guess it is safe to call this a hummingbird feeder after all -- even if they do have to share it with "cousins" both large and small. 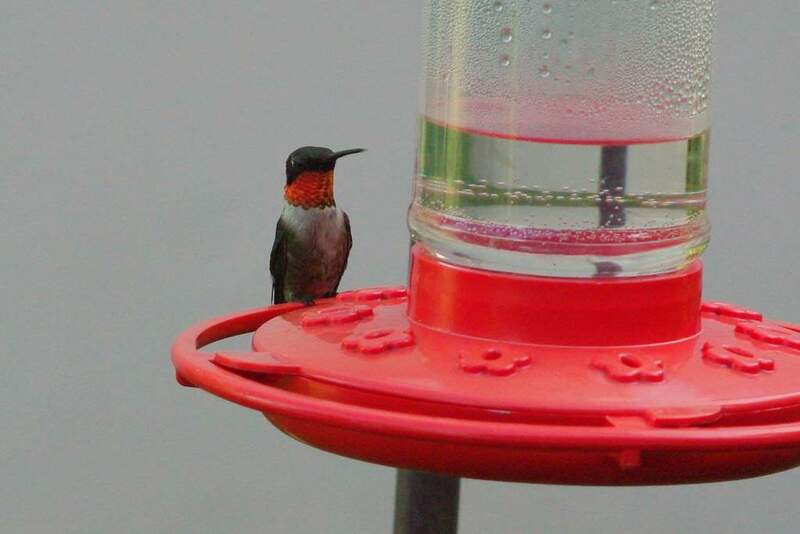 I'll post more about hummingbirds throughout the summer, but if you don't have a feeder for them in your yard, go buy an inexpensive one and hang it up. 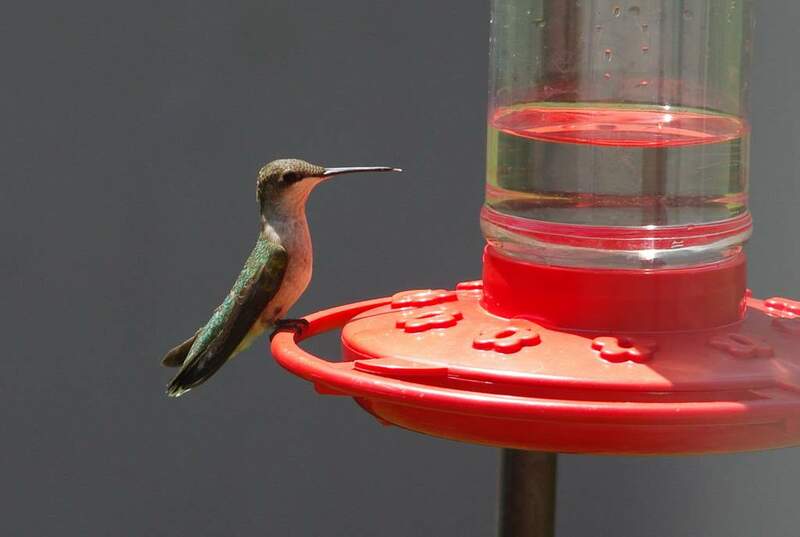 Watching these tiny visitors to your yard or garden is very rewarding!